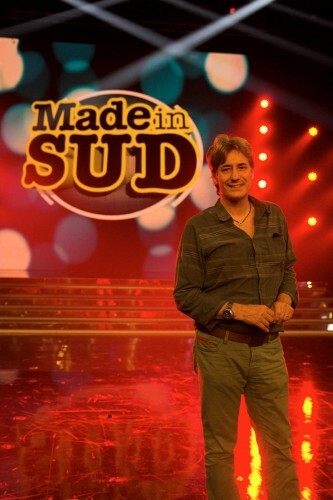 Robe LEDWash 1200s and LEDBeam 100s were specified by Italian TV lighting designer Sandro Carotenuto for the live shows in the latest ‘Made in Sud’ comedy series. These were recorded in the 600 capacity Auditorium venue at the RAI TV channel’s headquarters in Naples. Made in Sud showcases the very best cutting-edge and emerging young comedy talent in the south of Italy, with the final episodes in each run of programmes recorded live. Carotenuto – who has worked for RAI for 30 years and currently lights shows and events for their OB Unit all over Italy - used 35 LEDWash 1200s to illuminate the audience in this instance. The 30 x LEDBeam 100s were used in two 6x9 matrixes either side of the upstage LED screens. They provided intense back-beam effects for certain camera shots – for which they were highly effective. The Robe fixtures for this show were supplied to RAI Naples by Rome based rental company, DB Technology. Carotenuto started using Robe products in 2010 when the LEDWash series was launched. He reckons this is now "The best LEDWash light currently available" and continues to use these fixtures regularly in his work. He likes the range of "true colours", and finds the 3200 Kelvin tungsten white setting – one of a full range of proper whites output by the LEDWash series – particularly agreeable with the cameras. "When using a conventional moving light, the white is often too cold," he explains, "but using the LEDWash, it is absolutely right," he confirms. His next show after Made In Sud was the News Awards in Capri on which he used 50 LEDWash 600s and 10 LEDWash 1200s. After that he lit the 2013 Caruso Awards in Sorrento using 46 LEDWash 600s and 24 LEDWash 1200s. In picture: ‘Made in Sud’ lighting designer Sandro Carotenuto on the set photo: Louise Stickland.